In the following clip from the film Crash (2004) two employees negotiate strategy. This entry was posted in affect, Business ethics, complex responsive processes, complexity, conflict, disciplinary power, ideology, politics of everyday life and tagged complex responsive processes, local and global, narrative, rhetoric, strategy on February 3, 2017 by Chris Mowles. The following post is written by Karina Solsø Iversen, who is a senior consultant at Attractor in Denmark and a student on the Doctor of Management programme at the University of Hertfordshire. 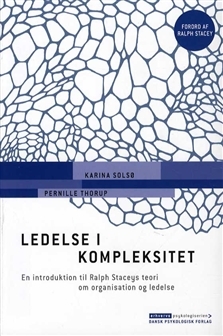 This entry was posted in complex responsive processes, complexity, conflict, management, politics of everyday life and tagged appreciative inquiry, complex responsive processes, complexity, conflict, Denmark, experience, Ralph Stacey, social constructionism on September 16, 2015 by Chris Mowles. There are two managerial tendencies in contemporary organisations which in my view work against the exploration of difference, and cover over the opportunity for collective reflection. The first is the increasing prevalence of instrumental reason in the shape of rhetorical appeals to ‘what works’, or what ‘adds value’ or is best for effectiveness and efficiency. This is not to argue in favour of inefficiency or ineffectiveness, or allowing employees to do whatever they want, but if we start from the premiss that there is no one best strategy, then all options about what employees might do together to improve organisational outcomes will bring with them advantages and disadvantages. It depends when the evaluation is made, and who is judging. If the future is uncertain then we can never be sure what will work and what will not until we try something together, and even then we may disagree about what we find. So it may be worth exploring the merits of different courses of action and tolerating dissent, disagreement and contestation before we embark upon something. The second tendency can arise as a direct result of the first, that there is a lack of shared experience of deliberating together, and therefore a greater reluctance to consider it. All kinds of reasons are given for not thinking together: because there isn’t time, because it will open a can of worms, because it will be just a talking shop, because it’s a luxury we can’t afford, because we’re an action-oriented organisation. In effect what then happens is a closing down of opportunity to seek different perspectives which prevents bringing about what Hannah Arendt referred to as ‘enlarged mentality’, the possibility of experiencing human plurality. The ability to consider the perspective of others was of prime importance to Arendt, since it enables us to decentre ourselves and avoid narcissism, as well as preventing tyranny where there is only a hearing for one point of view. Another aspect of deliberating together in public, particularly when we are face to face, is that the intimacy of being together obliges us more actively to find ways forward. But confronting each other with our differences can be painful, and it isn’t always easy to do. These are some of the themes we will be struggling with, more or less painfully, on the weekend, and here is the rough agenda for the discussions. Look forward to seeing you there if you have registered, and if not we will try and post some reflections on what happened afterwards. This entry was posted in complex responsive processes, complexity, conflict, critical management studies, politics of everyday life and tagged complexity, Complexity and Management Conference, Hannah Arendt, politics, power on June 1, 2015 by Chris Mowles.